As you know, we here at Netwoven have shared in great detail why we feel that Office 365 is, hands down, the best productivity suite for any enterprise. As we enter 2017, one in five corporate employees are using an Office 365 cloud service – making it the most widely used enterprise cloud service by number of users. And though we can posit that most O365 users call upon the traditional favorites like Word, Excel and PowerPoint; or next-gen tools like Exchange Online, SharePoint, and Skype; we’d like to call to your attention the one must-have Office 365 that we feel is like the Swiss Army Knife of Office. Without it, you may just be missing the secret sauce that turns mere collaboration into COLLLABORATION (yes, with all caps for a reason). We’re talking about OneDrive for Business – in our view, the best way to sync and share files across your enterprise. Now, before you try to utter the “D” word (Dropbox) or “G” word (Google), remember that OneDrive is built specifically to integrate with all your great Office 365 tools. That means you’ll achieve a level of seamlessness that was previously only possible with polyester pants (and definitely not possible with other third-party solutions). 1. Sync with SharePoint Online Team Sites – This newly-announced feature allows for OneDrive functions to penetrate within SharePoint – including files inside Microsoft Teams, Office 365 Groups and OneDrive folders, across both PC and Mac platforms. This new level of sync even allows offline access to critical SharePoint files. 2. New Standalone Mac Client – With the increased demand for OneDrive among Mac users, Microsoft has developed a standalone OneDrive Mac client. This allows IT admins to globally provision and control features like enabling sync status as well as the types of visual overlays users experience in Finder. It also adds a Finder shortcut for OneDrive, and allows for OneDrive to run a sync operation automatically upon sign-in. The new client also includes multi-language support. 3. New Activity Center – Having detailed, at-a-glance visibility into the mist recent sync activity and status is possible with the new activity center, now available in the latest OneDrive sync client for Windows and Mac. Users now can simply click the OneDrive icon in the system tray (PC) or Finder (Mac) to see the file sync status and activity. 4. Simplified File Sharing For New Users – Collaborating in OneDrive is meant to be easy, so Microsoft has now included a new onboarding experience for new users. This will smoothly guide them through the most common activities – uploading documents, using the mobile app and collaborating with other team members. Additionally, when users share files, they now see a simplified sharing experience that provides clearer information on the scope of what’s being shared – including whether a recipient is outside the organization. You can even set an expiration date for anonymous guest links, adding an extra layer of security for your valuable files. 5. More Power for Admins – A new OneDrive admin center allows top-level administrators to control how and from where a user can access files in OneDrive – granting controls in seven key functional areas, including home, sharing, sync, storage, device access, compliance and notification. 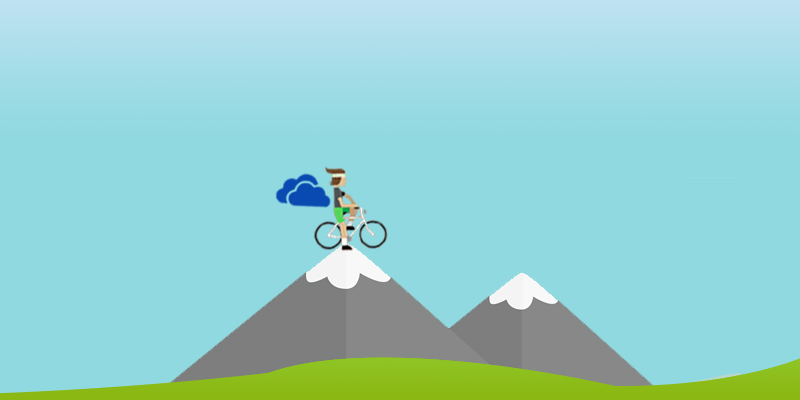 Need help getting the most out of OneDrive? Give us a call. As an Office 365 expert, we would be happy to help you get the most out of your Microsoft Office 365 deployment.